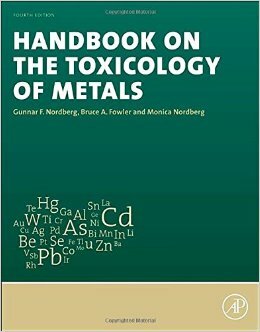 Handbook on the Toxicology of Metals 4th Ed. 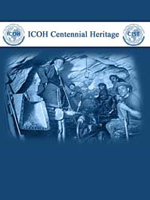 3rd Ed Editors: Nordberg G.F, Fowler BA, Nordberg M, Friberg L.
The ICOH Centennial Heritage is a major project to reconstruct ICOH historical roots on the occasion of its centennial celebration. The work is the outcome of ICOH general secretariat, Department of History and Methods for Historical Preservation of the University "Alma Mater Studiorum" (Bologna) and National Institute for Occupational Safety and Prevention (Rome) with the fruitful collaboration of Library staff at "Clinica del Lavoro Luigi Devoto" (Milan). This work witnesses the huge effort to organize ICOH historical memory, historiographic sources from secretariat archives, perusal of ICOH 28 congress proceedings and scientific journals like "Il Lavoro" and "Il Ramazzini". We look forward to receiving in the future more historical contributions by other Institutions so that the project can be broadened and adequately accessed along its 100 years of history, the history of the oldest scientific and professional society in the world in the field of workers' health protection.